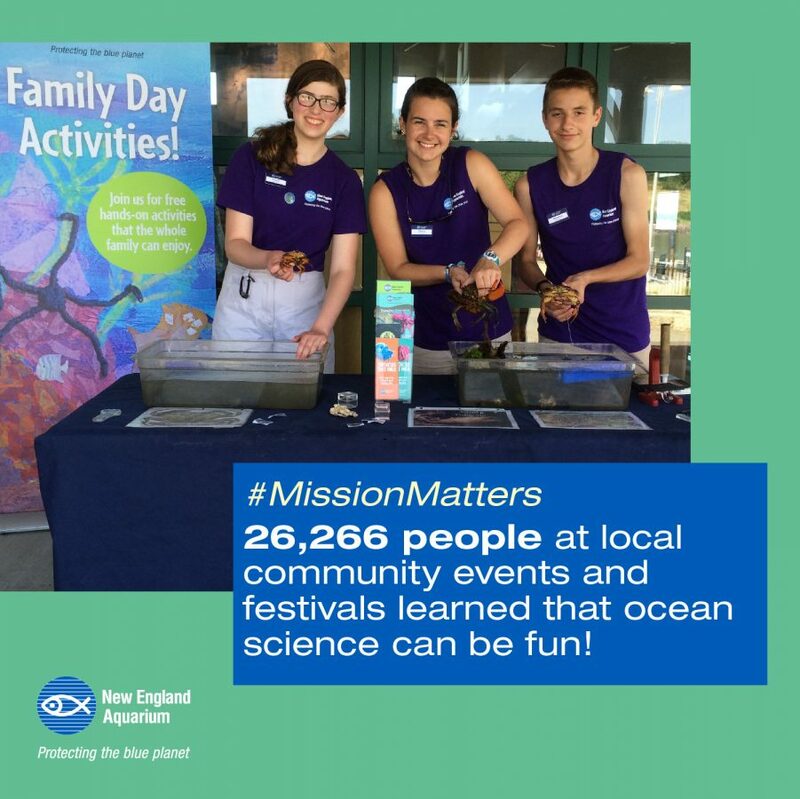 The New England Aquarium serves as a responsive community resource that attracts and involves the broadest possible audience. 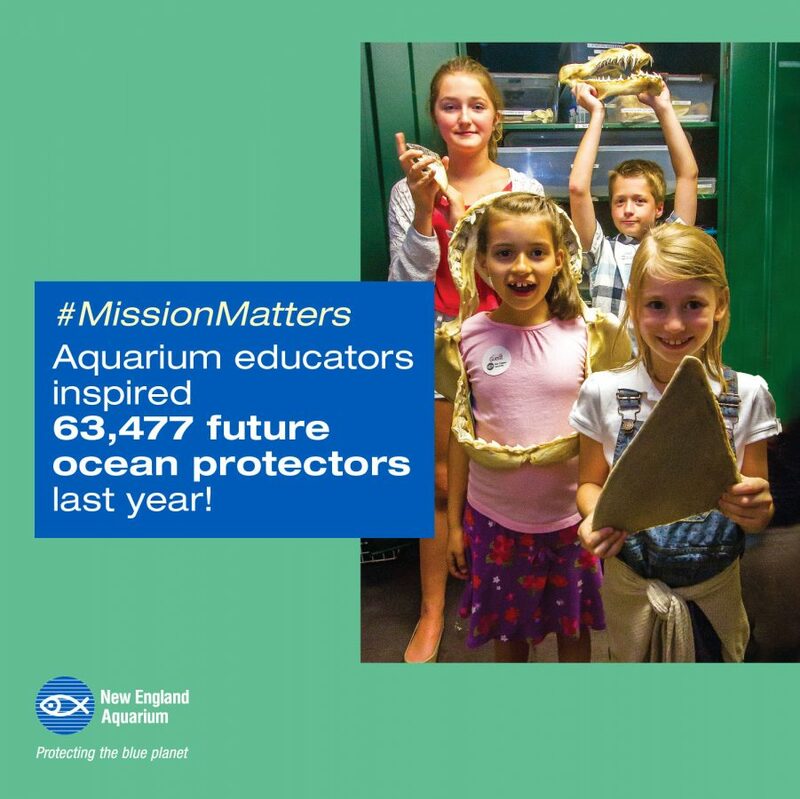 Through a variety of education and engagement opportunities for all ages—from teen internship career training to adult volunteer opportunities, inspiring outreach in schools to free ocean education programming in neighborhoods throughout the city—the Aquarium seeks to make a difference in our community. Our teen programs connect with teens ages 13 through 19. Do you love animals? Do you want to know more about our blue planet? Do you want to gain valuable work experience in the process? 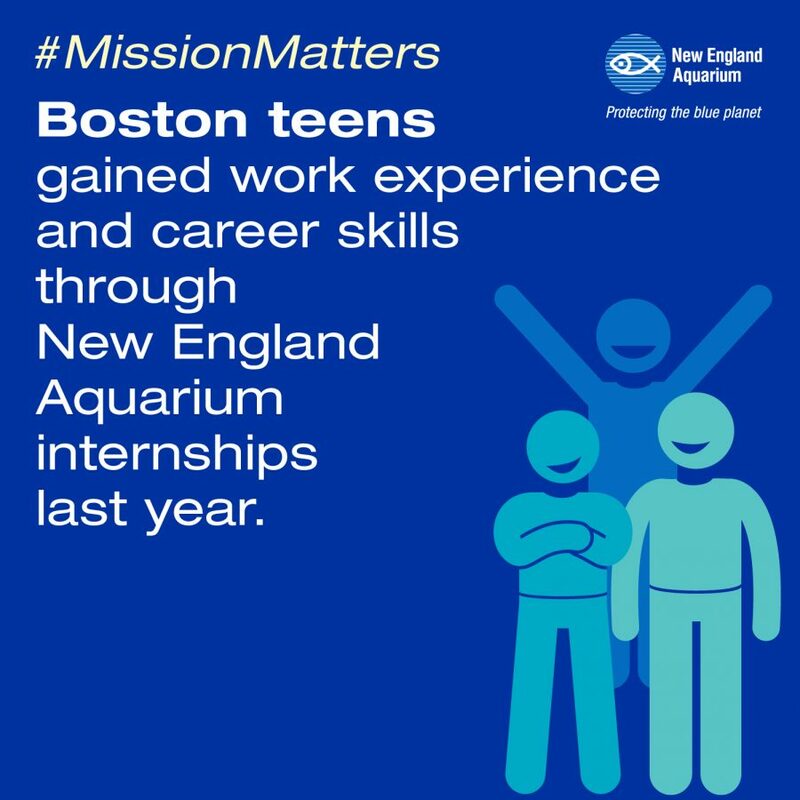 The Office of Teens Programs provides many opportunities for teens who want to get involved at the Aquarium through volunteer and paid positions. 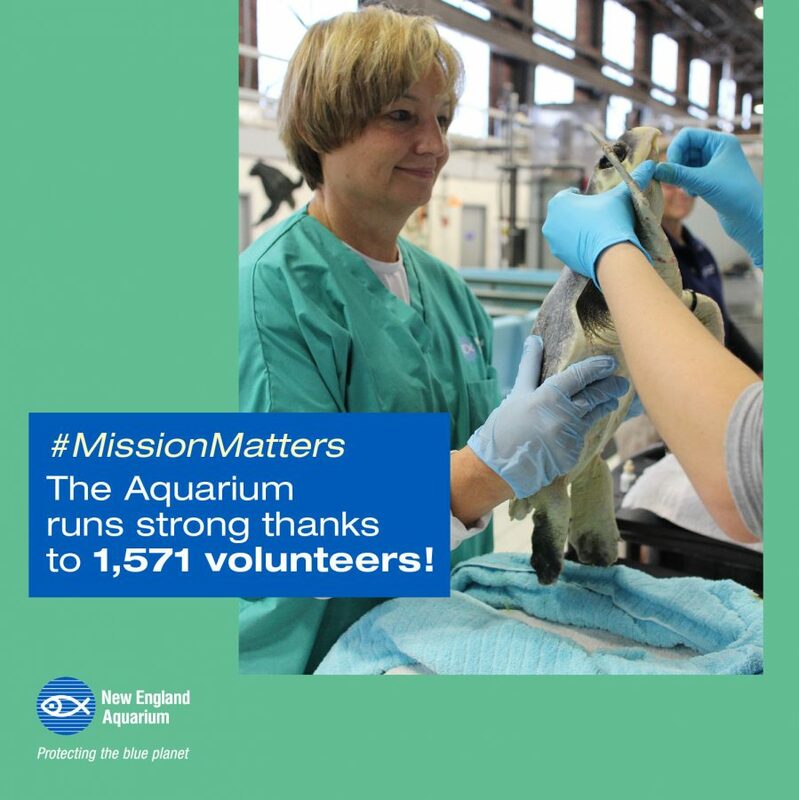 The Aquarium runs strong thanks to hundreds of volunteers. 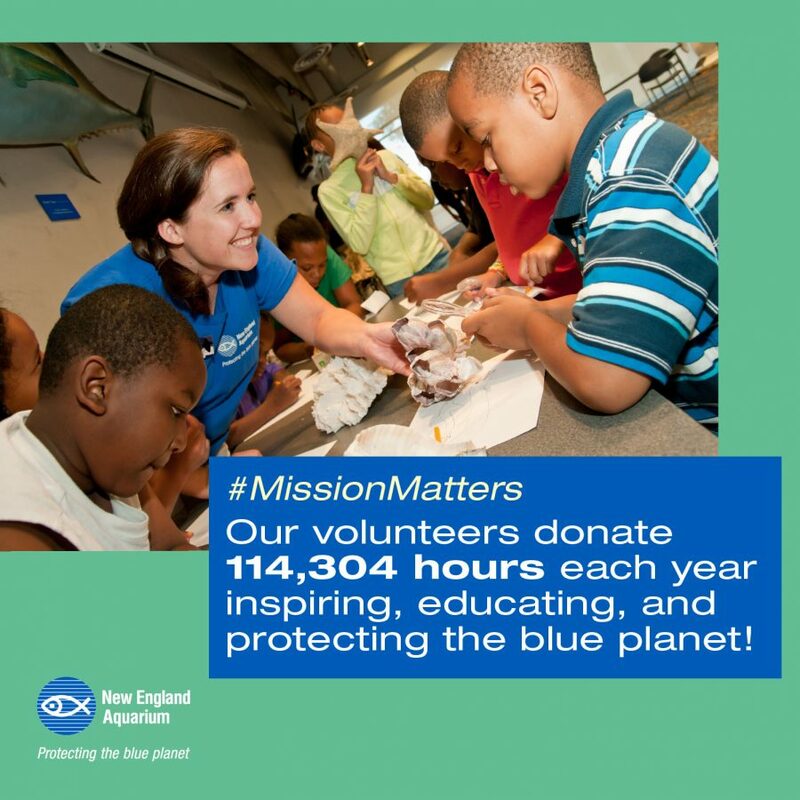 Our invaluable volunteers are involved in a variety of tasks in all corners of the Aquarium, from sea turtle rehabilitation to preparing food for animals, from water quality assessment to engaging with the public through our exhibits. 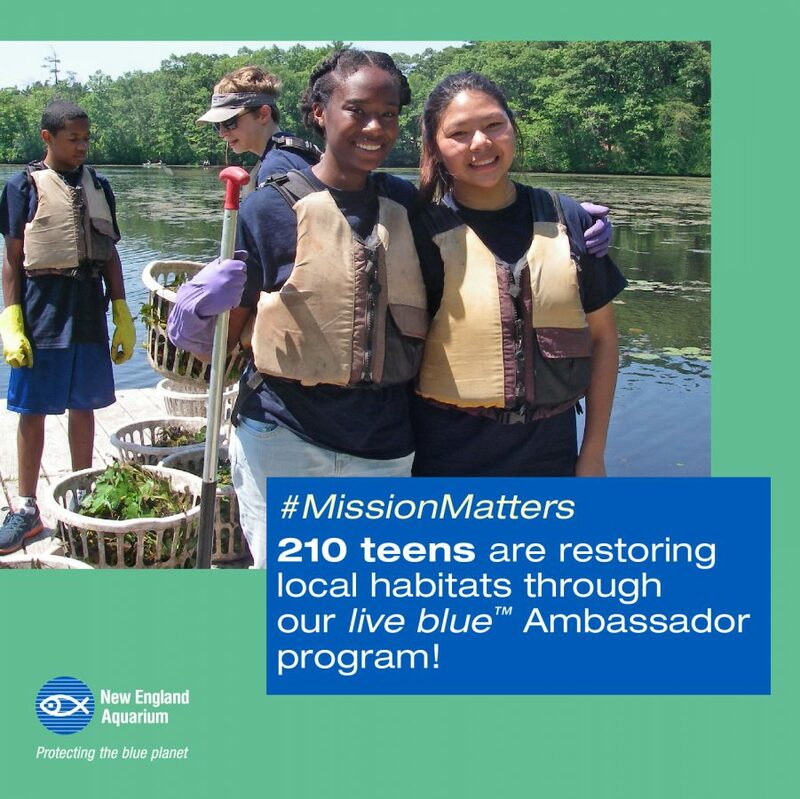 We inspire ocean stewards by sharing our passion for the blue planet. The Aquarium provides educational resources and activities for teachers, families, kids, and adults. Explore all our resources. 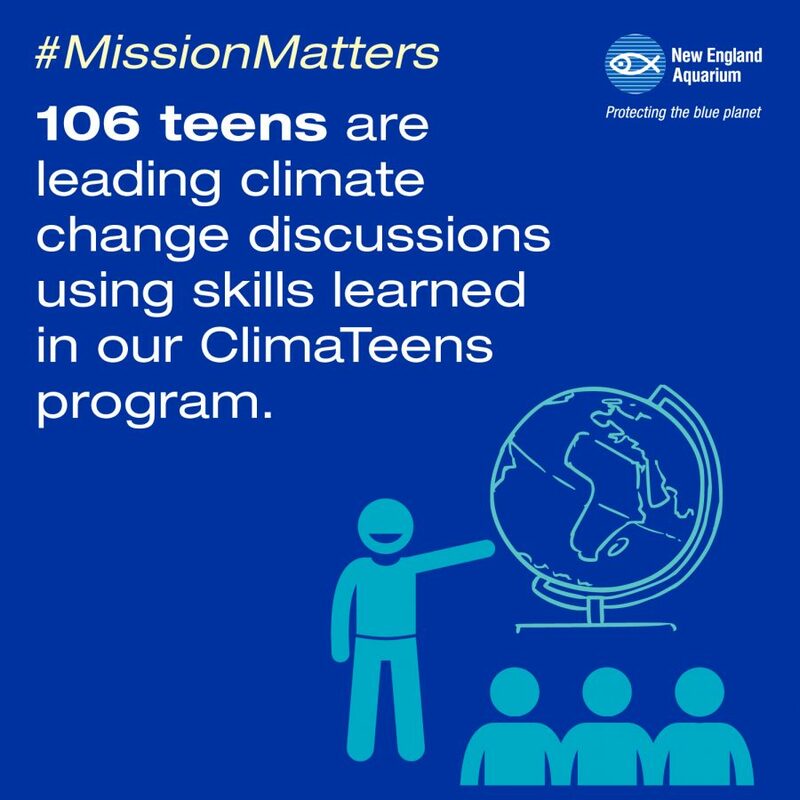 We are inspiring important conversations about climate change. 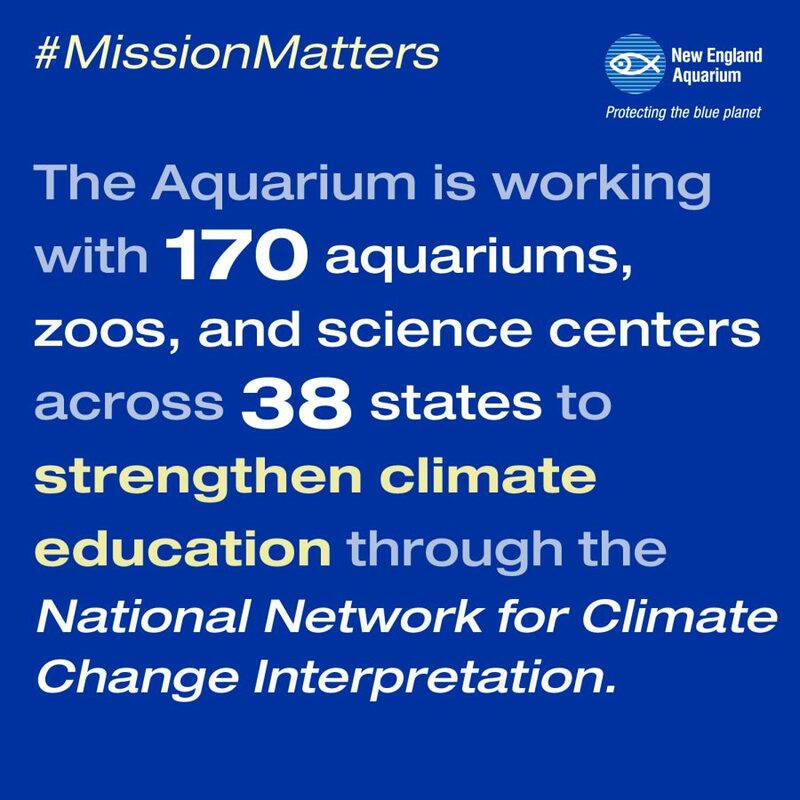 Our science education team has partnered with social scientists, oceanographers, climate scientists, and other aquariums to develop and teach strategies for having more productive conversations about climate change—interactions that are engaging, grounded in science, and oriented to solutions and hope.